ServeredgeCBN37RU66FSfully assembled rack enclosure is a perfect solution for securely storing your highdensity server and standard rack mount equipments in data centres and standard computer room environments. 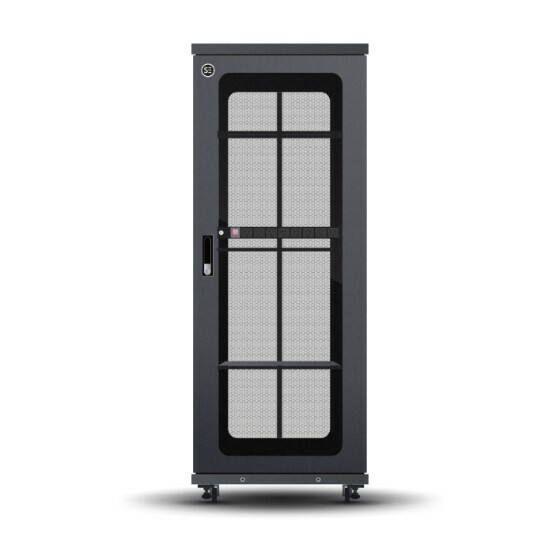 This premium Serveredge Cabinet is packed with features designed to simplify rack equipment installations and rack equipment maintenance: toppanel cable routing ports perforated doors to promote efficient airflow adjustable mounting rails vertical PDU mounting and more. TheCBN37RU66FSfully ships fully assembled for quick installation and comes with a manufacturer 25year warranty.